Herbal Medicine strengthens, invigorates, cleanses and replenishes the physical body. Herbs are widely recognized as useful aids to a healthier life. Many of the plants are concerned with the removal of waste products of illness and of dayto-day cell metabolism. Completion of any past or present illness process is a prime aim. For effective and accurate results, it is recommended to get your diagnosis and evaluation from a professional herbalist, rather than do-it-yourself treatment. Everyone is different; therefore different herbs are for different personality types. The first medical records we have were from India, China, Egypt and Assyria. Imhotep was the first known Egyptian physician. Some of the earliest medicinal uses of plants like garlic, onions and aloes were recorded on the steles and obelisks of Egypt. Aesculapius was a healer, herbalist and physician in ancient Greece - god of medicine. Hippocrates (460-377 B.C.) born on the island of Cos in Greece is known as the father of medicine. He was the first person to establish a system of diagnosis and prognosis and set down a scientific system of medicine. Dioscorides (c. AD 40-90) a much travelled Greek physician learned from many nations of their medical practices using plants and simple naturally occurring substances as their healing agents. He was the first real medical botanist who drew his knowledge together and assembled it in one vast work De Materia Medica. Galen (A.D. 131-201) was regarded as the greatest physician, teacher and philosopher after Hippocrates. Dr Nicolas Culpeper (1616-1654) an English botanist, herbalist, physician and astrologer; was perhaps the first herbalist to write directly for ordinary people who might collect and use herbs during the course of their daily lives. His published books include The English Physitian i.e. The Complete Herbal, which contains a rich store of herbal knowledge. The increasing number of herbals being produced and their growing scope and accuracy, reflected the widening interest in herbal remedies and the developing status of the apothecary. Culpeper payed homage to Dioscoridess factual, simple and practical applications of plants to illness conditions. It was recognized that every plant acted in effect as its own definition of its medical application, resembling either part of the body afflicted or the cause of the affliction. This was promoted by physician Paracelsus (1493-1541). Only since the eighteenth century has the paths of botanists and medical science divided. Nature shows us what real science is all about using the natural Laws of the Universe and working within these laws is for our own benefit. Herbal Medicine provides a shape chemically and an energy structure of its own, which over centuries of use has been evaluated by the results in vivo. Margaret studied Herbal Medicine with Dorothy Hall  an exceptional teacher and mentor. 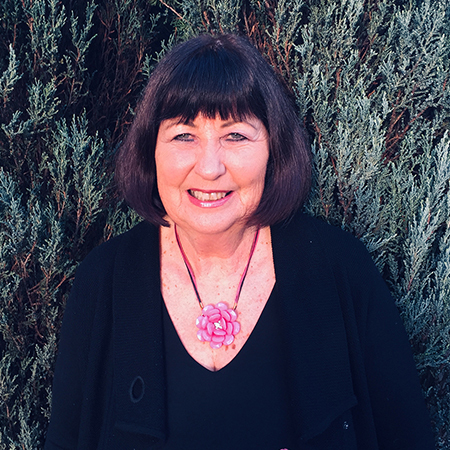 She is a renowned author, Natural Therapist and Herbalist extraordinaire  her invaluable research, familiarity with plants and clinical knowledge reflects in her person pictures of each herb.